I feel like every day I’m looking for a new soothing eye mask, de-puffer or workhorse concealer to disguise the shadows under my eyes, one that won’t settle into creases and make the whole area look older, as well as way tired-er. I am the owner of hereditary dark circles and was happy to conceal away with anything I could get my hands on when I was younger but now? I just want to look fresh, damn it! In all honesty, I’ve been mostly forgoing concealer of late due to the fact that most formulas settle most unattractively into the fine lines under my eyes, so it was with great excitement that I greeted the arrival of Hourglass’ Veil Retouching Fluid at Mecca Cosmetica – a wonder product that harnesses the power of the brand's popular Ambient Lighting Powder in a new fluid formula. The light to the touch, serum-like formula instantly illuminates wherever you dot it on, working overtime to refresh, revive and retouch the complexion. The weightless fluid is designed to be used in a multitude of ways, taking care of everything from refreshing any parts of the face that need a touch of hydration to reviving the aforementioned under eye without caking or creasing, and retouching the complexion for no-makeup days. The formula is rich in skin nourishing ingredients like hyaluronic acid, plant water extract and grapefruit extract, and the sheer formula can be used anywhere on the face that needs instant radiance and light coverage. I love that it can be used anytime during the day to touch up and perfect the complexion on the go, all the while not disturbing the makeup underneath. Easy to use for even a novice like me, it’s a lovely sheer product that adds coverage without being cake-y or heavy. 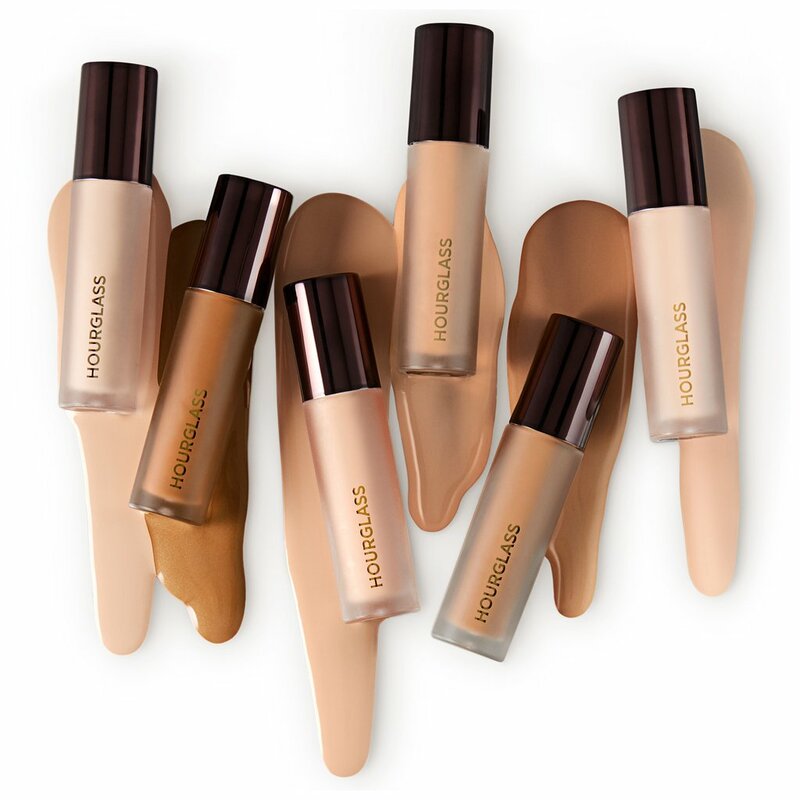 It has a luminous quality but no shimmer, so it’s kind to all skin types, ages and textures and has a super flattering, truly skin-like finish. For best results I have been dotting it on with the doe foot applicator and then gently patting it into the skin with my fingers, watching it work its magic just seconds after application. 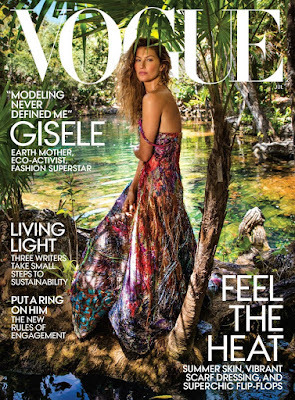 And is available right now at Mecca Beauty stores now and online here for RRP $54.00. Highly recommended, multi use and one heck of a must have! It’s safe to say that Australian brand Aesop is not your regular high-end skincare, haircare, home fragrance and more company. There are no big promises, no celebrity endorsements, no glossy packaging and no advertising. As a brand, they are committed to celebrating science by integrating both plant-based and laboratory-made ingredients, and the efficacy of their product formulations is world-renowned. 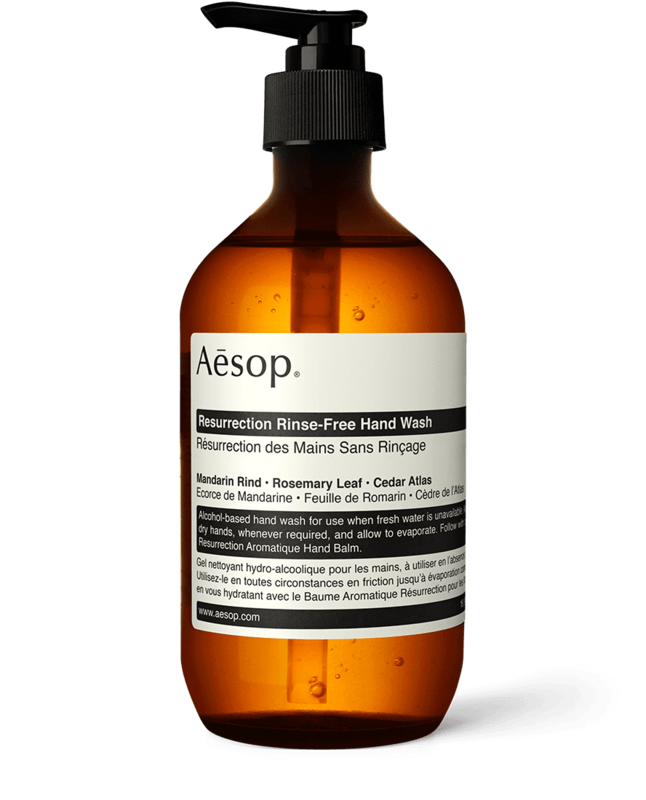 An interview with Aesop General Manager of Retail and Customer Relations Suzanne Santos told us “you need a blend of well-chosen man-made ingredients with exceptional botanical ingredients to make remarkable products”, and I personally have never met an Aesop product I didn’t like. 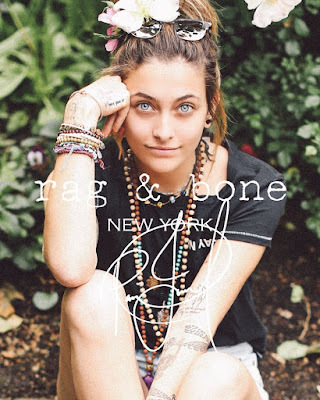 I first encountered the brand many years ago on a trip to one of their Sydney boutiques, and after washing my hands with their premier luxury soap, I was irrevocably hooked. Their less-is-more approach appeals to the type of consumer who doesn’t need fruity surroundings and overbearing retail staff to tell them what is wrong with their skin or what their home should smell like, but those who are happy to pay slightly higher prices for authentic top-quality products that just make you feel good – and work. Their home offering is really quite flawless, and encompasses everything from room sprays to hand and body wash and more. Their evaporative gel formula, Rinse-Free Hand Wash has long been a handbag staple of mine, so the fact that Resurrection Rinse-Free Hand Wash is now available in a 500ml pump bottle is fabulous news. For those that are unfamiliar with this little wonder, the moisturising agents in its formula – including extracts of Mandarin, Rosemary and Cedar – ensure hands are not stripped of moisture regardless of frequency of use. The formula’s botanical aroma also makes it an appealing alternative to many other gel-based hand sanitisers, hence its everyday appearance in my bag. The new, super sized Resurrection Rinse-Free Hand makes it ideal for bolstering hand hygiene in the office, bathroom or kitchen, and an absolute essential during flu season in particular. 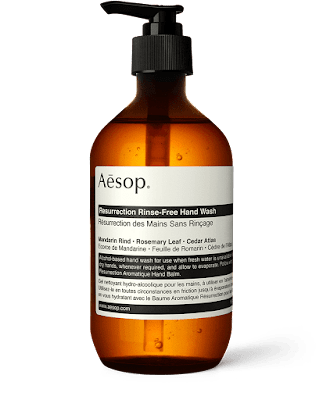 Resurrection Rinse-Free Hand Wash is available right now from stores, counters in selected department stores globally, and at Aesop Online with an RRP of $10 for 50ml and $59 for 500ml. 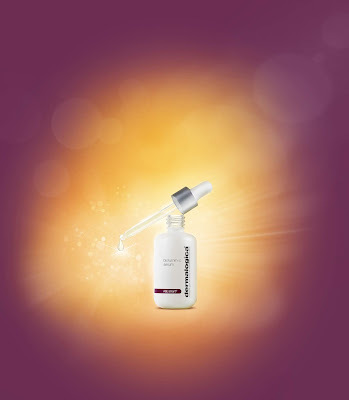 The latest I’ve been lucky enough to hear about it is Dermalogica’s new BioLumin-C Serum (RRP $159), which arrived on counters this week. A super stable and bioavailable, potent Vitamin C formula to help both reduce and prevent fine lines, wrinkles, pigmentation and loss of elasticity, its end goal is ‘giving you brighter skin from within’. So what does ‘bioavailable mean?’ you may ask? Well, many topical Vitamin C products contain unstable ingredients that lose efficacy before they're even applied to the skin, or on application. BioLumin-C Serum doesn't talk about the percentage of Vitamin C within the formula, as this doesn't mean anything if it isn't stable or bioavailable. So how does it do its thing? Well, the high-performance serum works with skin’s own defences to brighten and firm. Advanced bio-technology – the kind of innovation we’ve come to associate with the brand - fuses ultra-stable Vitamin C and Palmitoyl Tripeptide-5, helping to dramatically reduce the appearance of fine lines and wrinkles. Delivering more Vitamin C into skin, it aims to out perform other Vitamin C products (including those formulated at higher concentrations) due to its clever make up. Other key ingredients in the heady mix include Vitamin C Complex for brighter, firmer skin, Lactic Acid to accelerate cell turnover, Sophora Japonica Flower Extract to help return skin to a calm state after experiencing oxidative stress, and Salvia Hispanica (AKA Chia Seed) Oil to hydrate and help quench free radicals. Smooth this baby over a cleansed face and neck morning and night, after toning and before moisturising, and be ready to see a real change in areas like pigmentation and fine lines. I’ve been using it every second day due to my rosacea issues that seem to have reared their ugly head once again, but once that’s left the building I’ll be upping my dose for sure. Powder is one of those beauty products that have a lot of people divided – do you really need it, and why? It’s safe to say however that not all powder is created equal, and the plethora of formulas – and price points – that are all over the marketplace means that there is plenty to choose from, no matter what your skin type. A new addition to their super popular Healthy Mix range, Bourjois Healthy Mix Pressed Powder calls itself an “anti-fatigue powder”, which is a first for me! It claims to reveal the skin’s radiance while providing an even and matte complexion, a factor that initially made me stop and think. Does an ‘even and matte complexion’ mean it won’t work for a dry skin like mine? How wrong I could be! 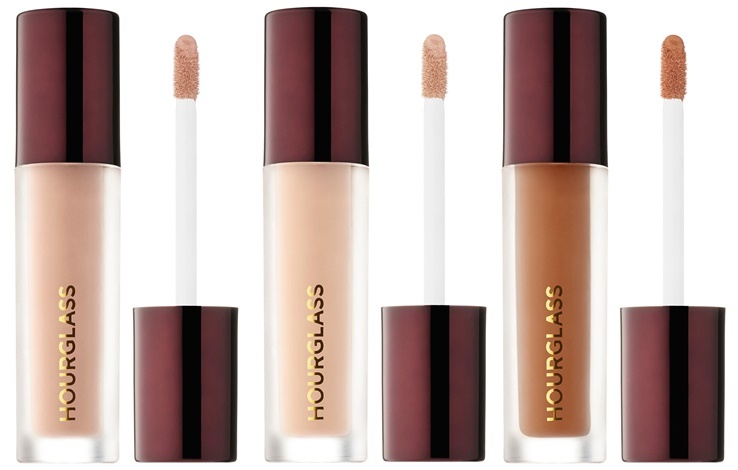 Clocking in at a super reasonable RRP $36.00, it is a very clever and unique formula in that it comes enriched with Asian fruit ingredients like yuzu that help give your skin a matte and balanced finish without overloading or drying it out. A lot of matte powders tend to give me a dull, dry-looking complexion so I usually steer clear, but this one is just so, so different. It’s also a cinch to use as it's quicker than having to shake out loose powder when you’re in a rush, which probably only requires a few more seconds, but time is of the essence in the mornings! It also means less mess in the bathroom, and the slim compact is great to travel with and pop in my handbag for touch ups on the go. 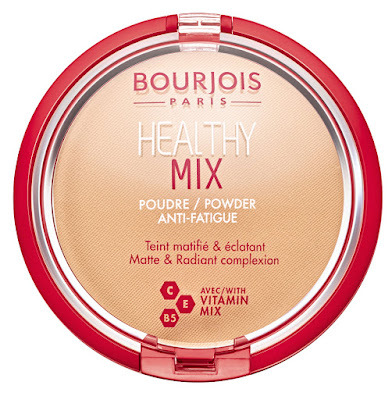 Highly recommended even if your skin is on the dry side, Bourjois Healthy Mix Pressed Powder is available right now in Vanilla, Light Beige, Dark Beige and Light Bronze.